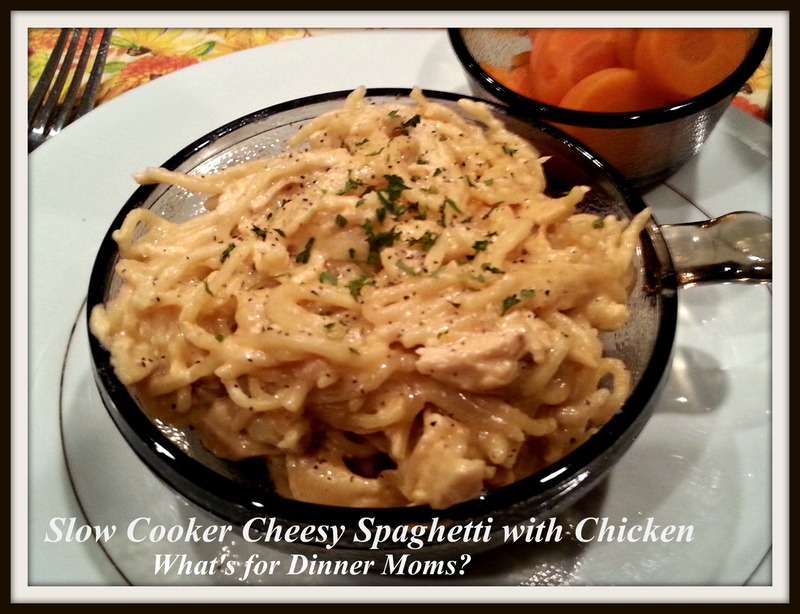 Slow Cooker Cheesy Spaghetti and Chicken – What's for Dinner Moms? Back to my slow cooker again. I have to admit I am not a big fan of chicken in the slow cooker if it is going to be shredded into a dish. I think it is a texture issue for me. As I was looking through Pinterest for something to do with my chicken breasts I found a slow cooker recipe that I thought may work. When I read this recipe I thought oh, no. But, I wanted to give it a chance. The original recipe for Crockpot Creamy Cheesy Chicken Spaghetti can be found at Crockpot Gourmet.net. This was a delicious, comfort dish. We ate all but one serving that was quickly claimed for a school lunch the next day. My kids were quickly claiming that this was a hit and a do-over dish. I even liked the dish. I am picky. It was creamy, cheesy and like a big warm hug on a cold night. I loved that it was so easy to make so I will gladly cook it again. I served this meal with sliced, steamed carrots and a side salad. Add the chicken breast, onion, garlic, pepper and broth to the bowl of the slow cooker. Cover and cook on low for 8 hours or until chicken is cooked through and easily shreds. Remove chicken from the slow cooker and shred chicken breast. Return the chicken to the slow cooker. Break uncooked noodles in half and add to the chicken along with the cream cheese and shredded cheese mixture. Stir mixture and replace cover. Let the mixture cook for another 30-60 minutes until noodles are done. Stir every 10-15 minutes to ensure that all noodles are cooked evenly and are well coated. If needed you may add another 1/2 cup of chicken stock to the slow cooker if it appears too dry. Stir well just before serving to combine all ingredients. I cook chicken in the slow cooker often Marci and shred it-I never had a problem. Was it too dry prior to finding this recipe??? I think it is more a texture issue and being cooked for 10 hours. Shredded meat is not always my favorite. Oh I get it-yes I never cook it that long! 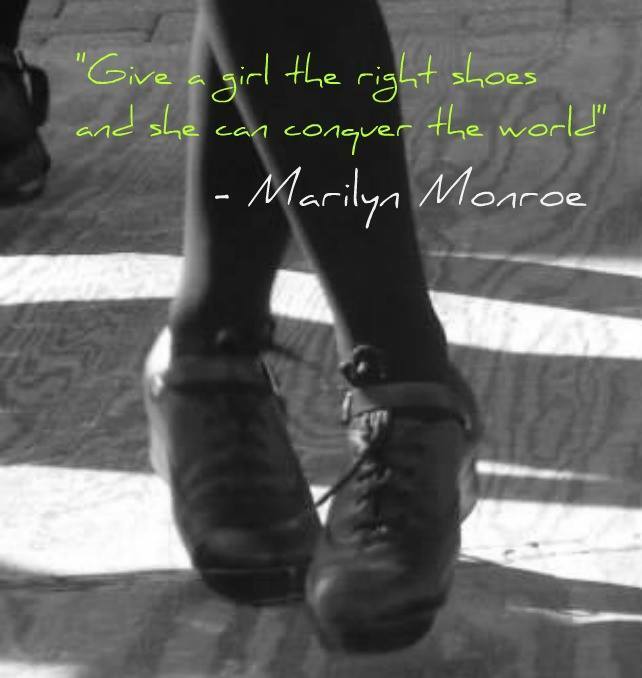 Some days are just like that…. LOL I understand-I do not think I’d like the texture either cooking that long!!! She loves it. That is the best part of this week. Such a nice thing to be involved with! Very sweet and nice girls too. So nice to have something special like this Marci! You are a great mom to be doing all of this! Enjoy your break! (albeit very busy!) Looks great! My kids would love this! Looks yummy! This chicken and pasta looks so luscious and doing it in a slow cooker is a plus! Nice Post.